One of my major problems while using the web is having too many browser tabs open. At the end of the day I’ll have 10 tabs open on Google Chrome and an additional 5-10 on Firefox. Not only does this slow my machine down, it’s annoying to keep track of. Why do I keep so many tabs open? Usually, it’s because I want to go back to them later, but don’t necessarily want to clog up my bookmarks with random links. It’s a silly system, but since I work at a lot of coffee shops and see a lot of other Internet surfers, it looks like I’m not the only one. 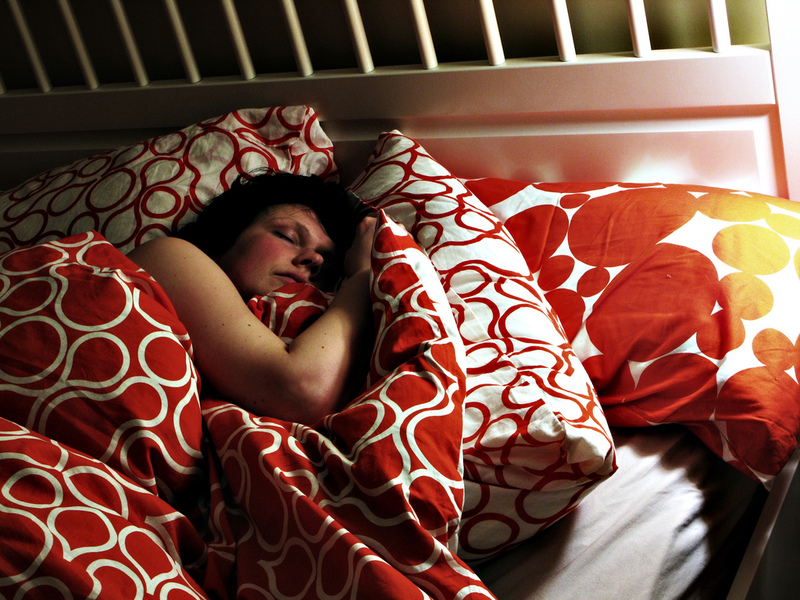 So what if you could snooze a web page like you can with an alarm? 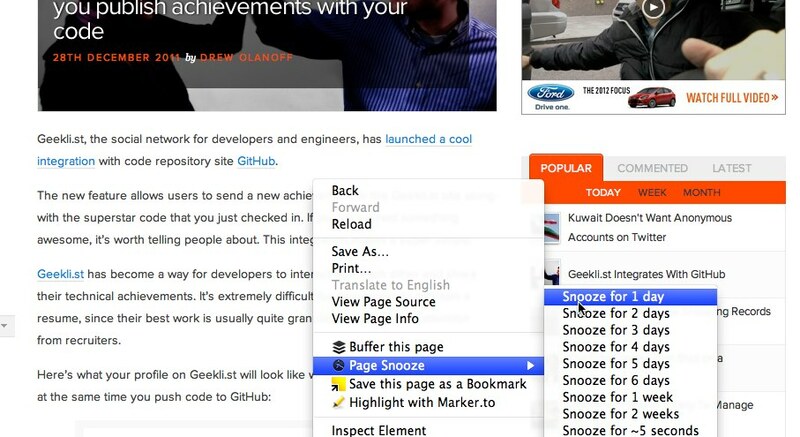 Now you can thanks to the Page Snooze Chrome extension. It’s a genius idea and works like a charm. Once you install the Page Snooze extension for Chrome, you can simply CTRL click on any page, and you’ll be shown options on how long you’d like to snooze a page. You can choose anything up to 2 weeks, and as soon as you snooze the page, the tab promptly disappears. When the snooze period is complete, the tab will automagically re-appear. This is perfect if there’s a page you’re tracking for a short period of time and it doesn’t necessitate a bookmark. Perhaps it’s a product page or a piece of news that you want a quick update on, snoozing the tab is the way to go. By clicking on the extension’s options, you can see your currently snoozed tabs and click-through to the pages if you’d like. I’ll be using this extension quite a bit, and staggering out the snoozed pages will keep me from piling up tabs like I tend to do.